The incident happened between 12pm on Saturday January 31 and 7.30am on Monday February 2. 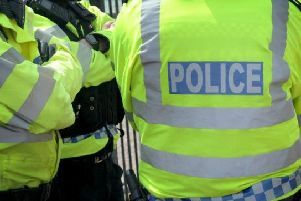 The thieves forced entry to the property in Gaydon Road and stole car tyres worth thousands of pounds. Police are eager to hear from anyone with information or who recognises the vehicle pictured. Anyone with information can call the investigating officer PC Stuart Mucklow on 101 and extension 5480, quoting incident 32 of Monday February 2.